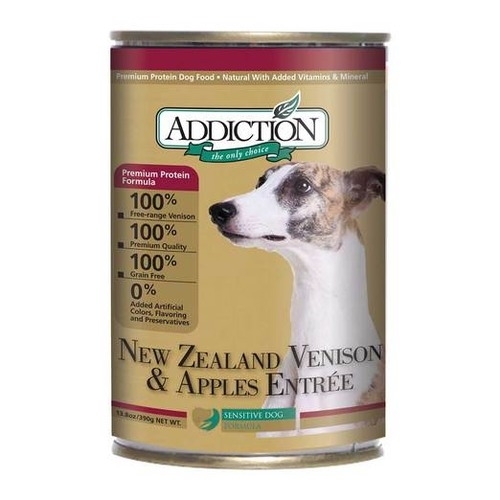 Addiction New Zealand venison and apples entrée canned dog food is one of the best holistic dog foods on the market, and it is packed with protein and game meats that are both nutritious and delicious, so your dog benefits in every possible way. 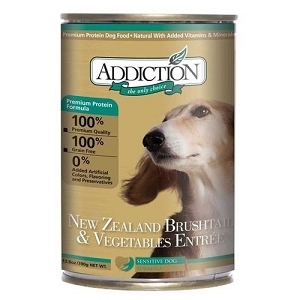 Made from 100% pure New Zealand Venison, no by-products are used in this holistic formula. 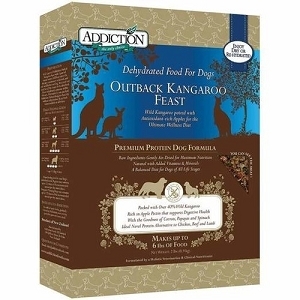 Venison is a prized, wonderfully delicious and nutritious meat with a full, deep taste that dogs simply love. 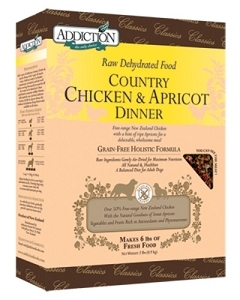 It is an ideal novel protein for dogs allergic to meats such as chicken beef or lamb. This unique formula enhances the vitality of your dog by incorporating avocados which rank highest among fruits in important phytochemicals and nutrients including Vitamin E, Beta-sitosterol, Glutathione and Folate.